Business insurance protects your investment by minimizing financial risks associated with unexpected events such as death of a partner, an injured employee, a lawsuit, or a natural disaster. Make sure your business is adequately protected today and tomorrow. It is important to develop a plan for continued financial security. Most states require businesses with employees to pay for workers’ compensation insurance, unemployment insurance, and depending on where the business is located, state disability insurance. Your state may require insurance of specific business activities. Your financial lender or investors may require you to maintain life, business interruption, fire, flood or other types of insurance to protect their investment. General Liability Insurance– to cover legal hassles due to accident, injuries and claims of negligence. Product Liability Insurance– to protect the company against financial loss as a result of a defected product. Professional Liability Insurance– Also known as ‘Errors and Omission Insurance’, it protects your business against malpractice errors, and negligence in provision of services to your customers. Commercial Property Insurance– It covers everything related to the loss and damage of company property due to variety of reasons. It comes in two basic forms- all risk policies and peril specific policies. 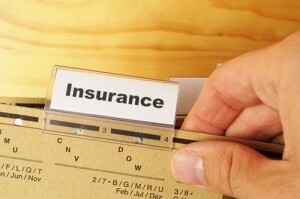 Insurance can be purchased separately or in a package called a business owners’ policy (BOP). Purchasing separate policies from different insurers can result in higher total premiums. A BOP combines typical coverage options into a standard package, and is offered at a premium that is less than if each type of coverage was purchased separately.Finding a good insurance agent is as important as finding a good lawyer or accountant. Make sure you assess your insurance coverage on an annual basis.